WhiteMag is an elegant looking premium blogger template was designed to work with every device (Desktops, Tablets and Mobiles) and every modern web browsers. Check it using Google's mobile friendly testing tool. This theme is very user friendly. 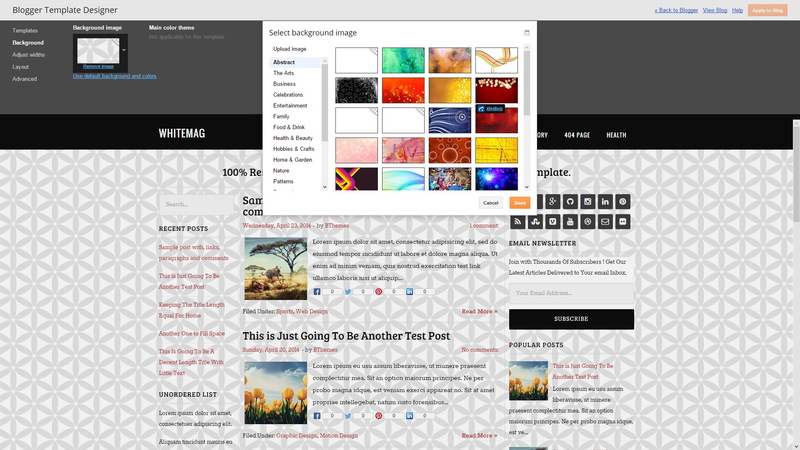 WhiteMag blogger theme is compatible with "Blogger Template Designer". So background image and every color and every font of this theme can be changed within few seconds without having a knowledge about HTML, CSS and Blogger XML. WhiteMag theme contains search engine friendly structured data. You can check it using Google's structured data testing tool. Here is how WhiteMag theme displays on different devices. 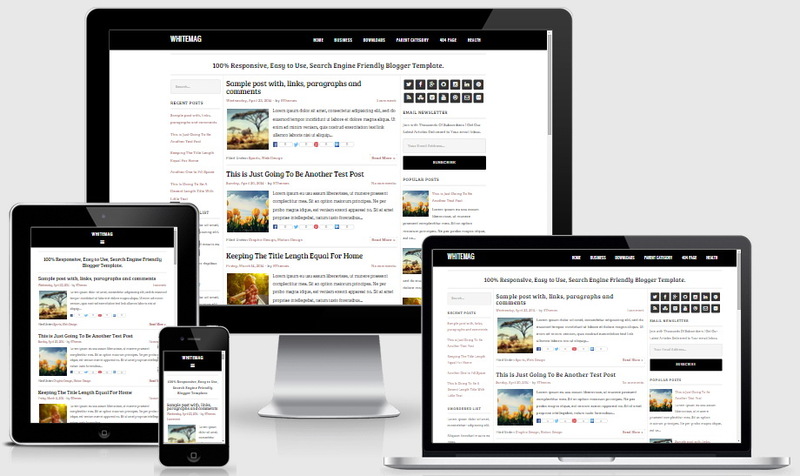 This theme is designed by NewBloggerThemes.com. You can see more details about this blogger template on their theme info page.